A full range of MIC Series power supply units (PSUs), with integrated Bosch IP technology and built-in support for NTCIP protocol, provides all connections for power, telemetry and video for MIC Series MIC550, MIC550IR, and MIC612 cameras. These MIC IP PSUs ensure that the cameras can be installed in a variety of locations, including low voltage and mobile applications. They conform to the National Transportation Communications for ITS Protocol (NTCIP) specification. NTCIP conformance ensures that the MIC IP PSU integrates with transportation management devices. Each power supply has UL, CE, and FCC approval, is rated to IP67, supports 50/60 Hz, and comes in a selection of input voltages. The PSU housing also has slots for optional cards, such as the 8-channel alarm card including washer pump drive (MIC-ALM). The built-in encoder features DVD-like quality H.264 video, at up to 25/30 images per second, over IP networks. 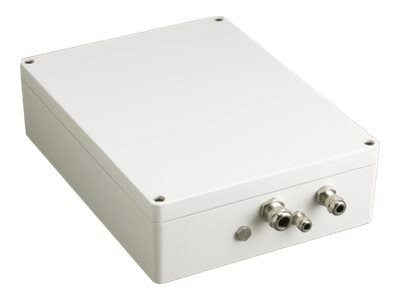 It provides Dual Streaming (two independently configurable video streams) and bidirectional audio communication in parallel to video, and supports Bosch VCA algorithms.